What are mini SEO case studies? As the name implies, they’re simplified case studies that focus on a single part of your overall marketing effort. Your marketing strategies are only as good as the testing that validates them. That’s why you need to conduct mini SEO case studies. 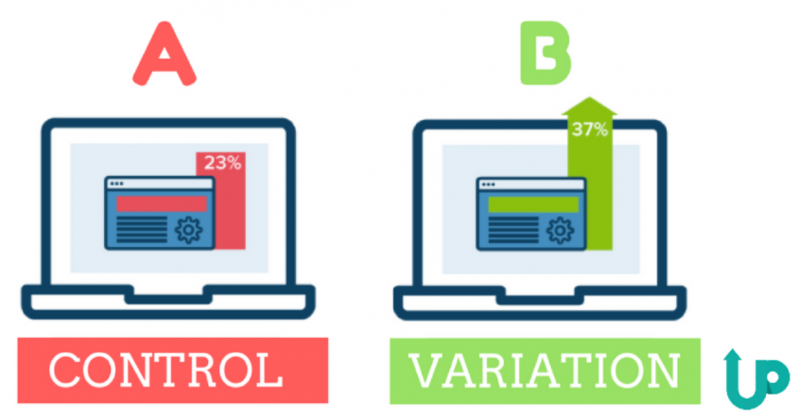 If you’ve ever conducted split testing, then you’re already familiar with a mini case study. The big difference is that the kinds of studies we’ll look at here start with a falsifiable hypothesis. Let’s look at the concept in more detail. Hypothesis – Before you begin the study, you start with a hypothesis about how a particular change will impact your metrics. Strategy – The strategy is the change that you’ll test. It can be anything that you believe will affect your stats. Execute – The execution phase is when you formally roll out the change. You should also wait some time while the change formally propagates and so you can get a measurable sample size. Measure – Once your change has been in production for a while, it’s time to measure your results. Here, you’ll use analytics tools to gather key stats. Results – This is the phase where you compare your metrics after the change to your metrics before the change. Then, you can determine whether or not the difference validates your hypothesis. If that seems like a lot of scientific mumbo-jumbo, don’t worry. We’ll take a look at some concrete examples below. In reality, though, it’s very simple. Then, you roll out the change. In this case, your development team would change the color of the CTA button to blue. After that, it’s important to give your change enough time to gather a good sample of data. At a minimum, you should let the change go on for a week. If your landing page doesn’t get much traffic, though, it might be a good idea to let it run for a while longer. You can use this calculator to get the sample sizes you’ll need for testing. Once the testing period has elapsed, check your metrics. Use Google Analytics or whichever tool you prefer. Then, compare your key metrics from after the change to the same metrics from before the change. In this case, you’d compare the conversion rate of the landing page from the time after you changed the color of the button to the rate from before you changed its color. If you notice that the conversion rate from after the change is at least 1% higher than the conversion rate from before the change, then you’ve just validated your hypothesis. Remember, though: make sure that your hypothesis is both falsifiable and quantifiable. In other words, make sure that it’s something you can either prove or disprove with your test. Also, make sure that your goal has a definite number attached to it (in the example above, the number is 1%). Let’s take a look at some other examples. Let’s say you’re engaged in some content marketing effort and you’re not getting a very good click-through rate (CTR) on one of your articles. It ranks well on Page 1 of the results list, so you’re not sure why. You check Google Search Console and find that the click-through rate on the article is only 5%. You’d like to get it higher. So here’s the hypothesis: A better title will increase the CTR on this article by 20%. You start by changing the title. That’s easy enough to do since you’re using WordPress. You can just edit the title in the back end of the CMS. Then, you wait a few days for Google to index the change. After that, you give the new title a couple of weeks before gathering statistics. That way, you can get a large enough sample size. Once your testing period has ended, you check the metrics. You find that the new CTR is 18% higher than your old CTR. Although that’s a significant improvement, it’s a little shy of 20%. So your hypothesis has been disproven. Still, you made a good move. Let’s say your website is still using the unsecure HTTP protocol. You believe that if you move to HTTPS, you’ll gain more visibility in the search engine results pages (SERPs) and increase traffic by at least 10%. That’s an understandable hypothesis because Google tends to reward websites that use HTTPS. Also, you know that Google Chrome will soon start warning users about sites that aren’t secure. You don’t want potential customers to get anything resembling a warning when they visit your site. So your strategy is that you’ll move to HTTPS. Your hypothesis is that doing so will give you a 10% increase in traffic. The execution here is a little more difficult than in the previous example. To move to HTTPS, you have to purchase a certificate from a trusted authority. Then, you have to configure your web server to use that certificate. However, you have a great development team and they get it done in less than a week. Now, you have to wait for a month or so while your website runs with the new protocol. That way, you can get a good traffic sample size. Once a month has passed, you check the metrics. You find that your HTTPS traffic is a full 13% higher than it was when your website was using HTTP. Since 13% is higher than 10%, your hypothesis is validated! You notice that some of your great content isn’t ranking that well in the SERPs. That’s surprising, because you know for a fact that it’s quality content. Maybe the problem is the lack of backlinks? You hypothesize that if you add five quality backlinks to one of those articles that isn’t ranking well, its rank will increase by 20 positions. Currently, it’s sitting at 59. But how will you get those backlinks? That’s the strategy part. You decide to go with guest-blogging. That way, you have complete control over where the backlinks appear and you stay in white hat SEO territory. During the execution phase, you reach out to webmasters that you know and ask them about guest-blogging opportunities. Happily enough, you find five that are willing to let you write blog posts for their websites. You crank out some great content for each site and wait for the articles to post. Then, you give Google a week or so to “register” the backlinks. During that waiting period, you’ll check some of your tools to see if they’re picking up on the backlinks as well. Once you’re confident that Google has passed some link juice to the article, you check its rank. You find that it increased 21 positions to 38! You’ve validated another hypothesis. Well done. Now you know how to conduct an mini SEO case study. Take some time to think about a few hypotheses that you’d like to test. Then, follow that up with formal execution. Finally, test your hypotheses against the measured results.